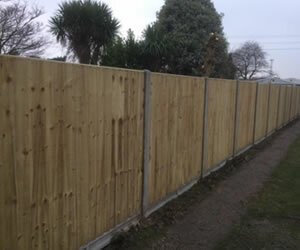 Welcome to L T Fencing, we are a friendly and reliable company based in Portsmouth. 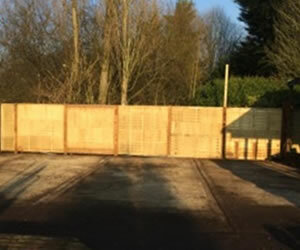 We offer our professional Fence, Gates and Landscaping services throughout the whole of Hampshire and parts of West Sussex. Using only the best quality materials at affordable prices, we undertake both domestic and commercial work, whilst offering a 24hr call out services and free estimates. Please feel free to look through our website and checkatrade feedback to see some of our quality workmanship and testimonials. Thank you for taking the time to look through our web pages and we look forward to hearing from you. Please feel free to contact us to discuss your individual needs and requirements, we are always happy to help. L T Fencing caters for all size gardens from small city plots to large private gardens. We offer grass cutting, strimming and hedge cutting, as well as chemical weed control. We also offer a full garden makeover service and can make renovations to your existing plot if required. 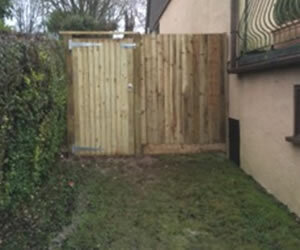 We provide a full landscaping service – building patios, driveways, fencing, and gates as well as turfing and planting. Whether you need a fully redesigned garden or just alterations to an existing garden we can help. We can lay new patios, build patio walls and provide fencing for your garden. Our expertise is landscape gardening and all associated garden services both commercial and domestic, contact us today!